Quick summary: Students will complete a NAPLAN-style test practice paper. 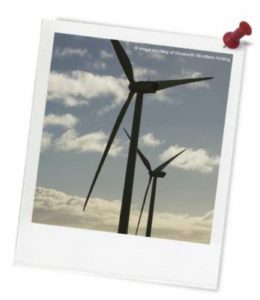 Students will complete a reading task to learn more about how Hydro Tasmania produces electricity from wind. Learning goals: This lesson is designed to provide valuable practice for NAPLAN*, the national literacy test held in Years 7 and 9. It features a reading text and a visual text with comprehension and language activities that require students to find facts, interpret meaning and apply text-processing strategies. Understand the way language evolves to reflect a changing world, particularly in response to the use of new technology for presenting texts and communicating (ACELA1528). Understand that the coherence of more complex texts relies on devices that signal text structure and guide readers, for example overviews, initial and concluding paragraphs and topic sentences, indexes or site maps or breadcrumb trails for online texts (ACELA1763). Resources required: Student Worksheet (one copy per student OR computers/tablets to access the online worksheet). If students are using a printed copy of the worksheet they will need a 2B pencil to complete the worksheet. 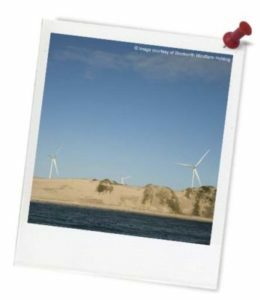 Keywords: Electricity, wind power, Hydro Tasmania, energy. Thought starter: Where does the wind come from? In this lesson, you will complete a NAPLAN* style practice test. The test is in multiple choice, matching and short answer formats. Part A. Multiple choice: Read the text below and look at the diagram. For questions 1 - 6, write TRUE or FALSE next to the statements. For questions 7 - 16, write your answer as a), b) or c). Part B. Matching: Match each object below with its purpose by writing the number of each purpose next to the correct object. Part C. Short answer: Define the words that have been underlined in the Reading Text, making sure that the definitions you give make sense in the CONTEXT of the Reading Text. When the class has finished, swap tests and mark the answers (out of 30). Each answer is worth 1 mark.